People make all kinds of excuses of why they can’t draw. Trust me, I’ve heard just about all them. The truth is, I believe that anyone can draw. 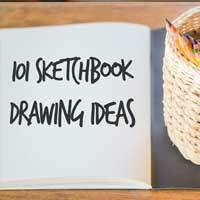 It simply takes overcoming a few misconceptions about drawing and dispelling a few myths. 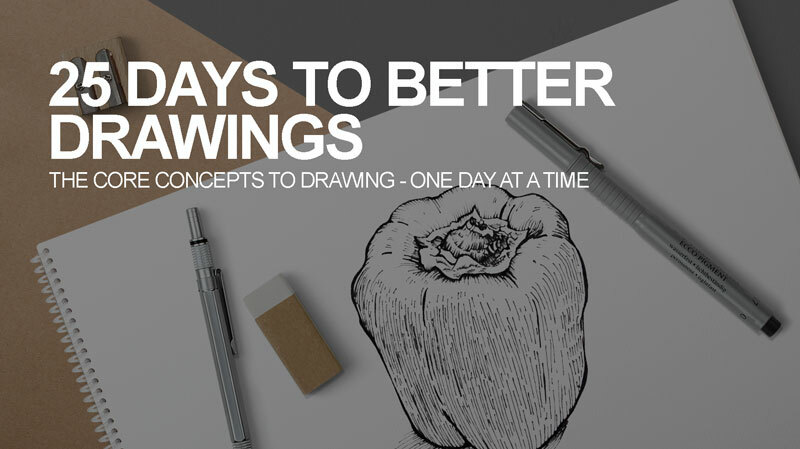 Here are some common reasons that people struggle with drawing and how you can overcome them. 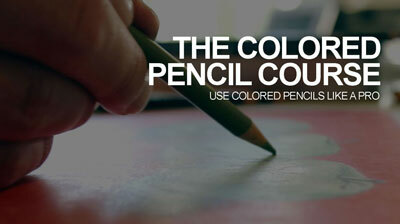 No matter what the “pitfall” may be, you can overcome them and draw well. 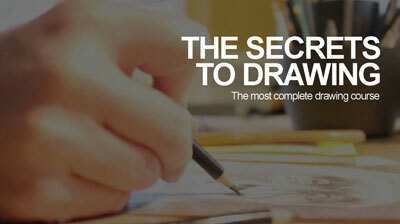 Let’s identify the most common reasons people struggle with drawing…. This is probably the most common reason why people struggle with drawing. They simply need more practice to get better. Drawing is a skill and like with any other skill, you can’t expect to get better without practicing it. So many people think that drawing is just something that some people can do and others can’t. This simply is not true. Anyone can draw, but you have to want it enough to practice it. And practice includes making mistakes – lots of them. 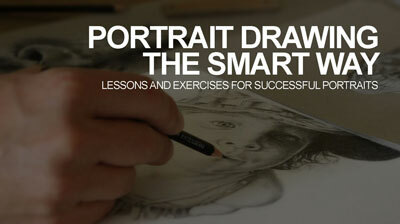 You’ll learn from your mistakes and your drawing skill will improve. But first you have to be willing to invest some hours of practice. Seeing like an artist is different from simply seeing. Artists see the world as lines, shapes, forms, colors, and values. They are able to simplify the complex objects around us into abstractions that are closer to how our eyes actually “see” things. Artists are able to block out what their brains (or left brains anyway) are telling them and focus only on the abstract light that their eyes are actually recording. Artists are then able to take this abstract information and organize it on the surface using a medium in the manner that their eyes have recorded it, thus creating an illusion that translates to the brain of the viewer as reality. An artist, for example wouldn’t draw a chair. Instead, they would draw the lines, shapes, values, and colors that make up the chair in the manner that they are observed. The result is an illusion of a chair. 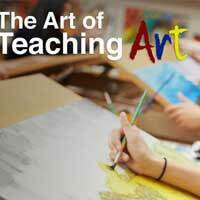 Fortunately, like drawing, seeing like an artist is a skill that can be learned and developed. It can be practiced. 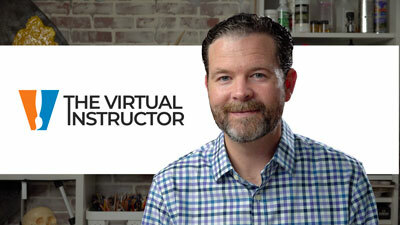 There are drawing exercises that you can try to help you learn how to see like an artist. For example, drawing an image from an upside down reference photo will help you block out distractions and focus only on the lines, shapes, colors, and values. 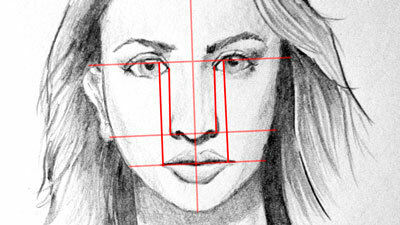 Or blocking out a photo reference using a grid, and then drawing only one square within the grid. Any drawing exercise that helps you block out the content and only focus on the observed will improve your skill in this area. 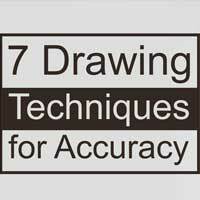 Each drawing medium has its own set of characteristics. 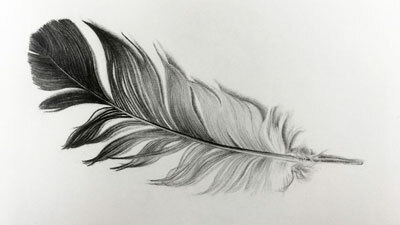 Knowing and understanding how a specific medium will behave and how to control it on a drawing surface is absolutely essential to drawing success. 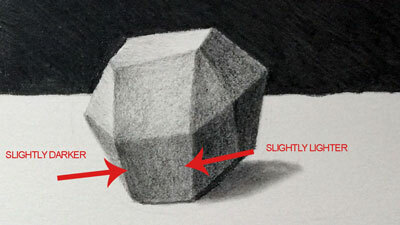 Graphite should be applied and handled differently than other drawing media, like for example, soft pastel. 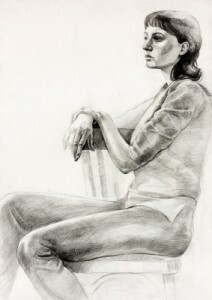 Experience with each drawing media comes from practice and experimentation. It cannot be expected to pick up a medium and become an expert on the first use. Yet many new artists give up on a medium after just one use. 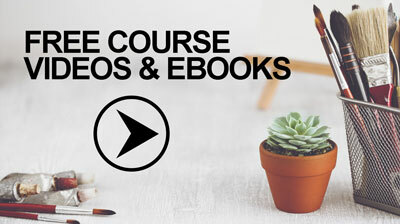 Gaining knowledge of the appropriate uses, techniques, and surfaces of the media will improve your drawing. 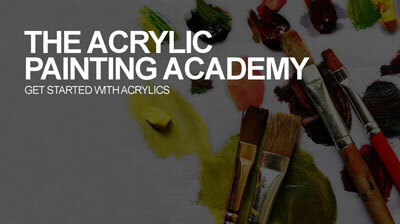 Practice and experimentation within a specific medium will naturally enhance these skills. There’s a reason why it’s called art “work”. It takes work to create a strong drawing. It can be fun work – but work nonetheless. 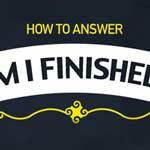 Time often needs to be invested into a drawing in order for the drawing to be successful. 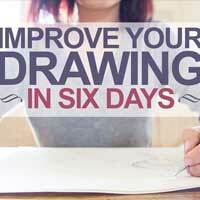 Slow down and concentrate on smaller areas of the drawing for longer periods of time and I guarantee that you will see noticeable improvements in your drawing. Perhaps the reason you can’t draw is because you believe in talent. You have been told your whole life that some people can draw and some people can’t. So the first time you meet any challenge in developing drawing skill, you give up and blame it on lacking talent. 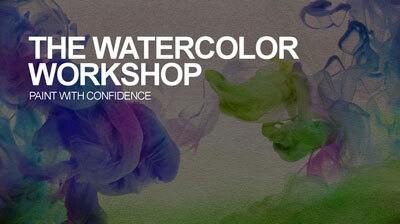 Drawing is a skill that is taught, learned, practiced and developed. It’s just like any other skill such as playing a musical instrument, or learning a sport. It takes knowledge and practice to develop it. 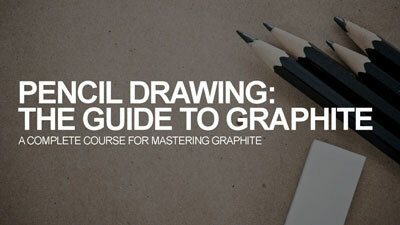 Anyone can learn how to draw, including you. One of the biggest things I need to work on is not caring how long a piece of art takes to complete. Whether it be a few minutes for a sketch, or 20+ hours on a portrait, I need to realize it does take work and practice. Once I let time drift away and get lost in my art, then I can start to see the improvement. Believe it or not, one of my art teachers said he spent 10 years on a piece of art, it was very abstract but well worth it he said. That just boggles my mind! The weird thing is that I’d say I’m fairly good at drawing although I don’t practice, or rarely. There is a significant difference in skill between a drawing I did a couple of months ago for school and a drawing I did recently. In between those months I didn’t draw anything, or do any practice, but still I improved drastically. Maybe some people just naturally improve as time passes although I definitely agree with the point of practicing more, it will certainly help you become a better artist. I definitely believe in talent and that if you lack it, you can practice all you want but will hardly improve. I think the key to being a good artist is the ability to visualize and be able to very well recall images from memory. I lack these abilities and therefore will never be a great artist I think. Yeah, you’re foolish if you think talent doesn’t exist. I know you’re saying it doesn’t for encouragement, but it’s false. Much like how some people cant act or sing, even after training, some can’t learn/improve on perspective, color combinations, anatomy and so on, if they lack talent. Artists are just wired differently than us. Hi Sinep, Thanks for your comments, but this is limiting attitude. 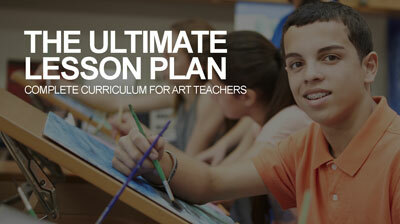 I have seen students without “talent” succeed as artists. I have decades of experience teaching and have seen this over and over again. Artists aren’t “wired” differently. Ask any successful artist – they’ll tell you it takes practice and hard work.